WASHINGTON, DC, June 15, 2012 (ENS) – The U.S. Environmental Protection Agency today proposed to update its national air quality standard for fine particle pollution, including soot, emitted by the burning of fossil fuels such as coal, oil and diesel fuel. The new annual standard covers particulate matter of 2.5 micrometers in diameter or smaller, known as PM2.5. These particles, measuring just 1/30th the width of a human hair, can penetrate deep into the lungs. They have been linked to serious health effects, including premature death, heart attacks, and strokes, as well as acute bronchitis and aggravated asthma among children. 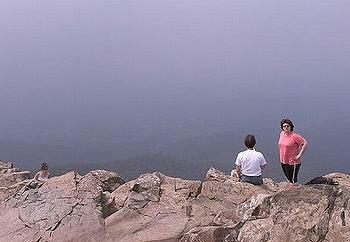 The microscopic particles also contribute to the haze that envelops many U.S. cities and national parks. The agency says that meeting Clear Air Act upgrades already in place means that 99 percent of U.S. counties are projected to meet the proposed soot standard without any additional actions. The EPA’s proposal comes in response to legal action filed by the American Lung Association and the National Parks Conservation Association. A federal court ruling in 2009 required EPA to update the standard based on the best available science. The current annual standard is 15 micrograms per cubic meter. The EPA now will take public comment on a range of annual and daily standards, which are set to protect against long-term and short-term exposure to particle pollution. EPA proposed choosing either 12 or 13 micrograms per cubic meter (µ/m3) for the annual standard and 35 µ/m3 for the daily standard. The groups urge an even tighter annual standard of 11 µ/m3 and a daily standard of 25 µ/m3. But industry says the current annual standard is protective enough, although the current 15 µ/m3 standard is not included in the EPA’s proposal. 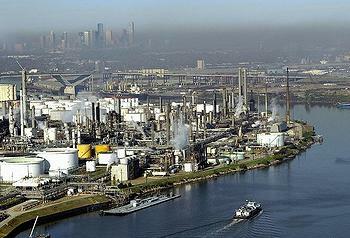 “A more stringent rule will discourage economic investment in counties that fail to meet new federal standards,” said Howard Feldman, director of regulatory and scientific affairs with the American Petroleum Institute. The EPA counters that today’s proposal meets the court’s requirement to use the best available science and builds on steps already taken by the agency to reduce air pollution since the Obama administration took office. “Thanks to recent Clean Air Act rules that have and will dramatically cut pollution, 99 percent of U.S. counties are projected to meet the proposed standards without undertaking any further actions to reduce emissions,” the EPA said in a statement today. Because reductions in fine particle pollution have direct health benefits including decreased mortality rates, fewer incidents of heart attacks, strokes, and childhood asthma, these standards have major economic benefits with comparatively low costs, the EPA said. “Depending on the final level of the standard, estimated benefits will range from $88 million a year, with estimated costs of implementation as low as $2.9 million, to $5.9 billion in annual benefits with a cost of $69 million – a return ranging from $30 to $86 for every dollar invested in pollution control,” said the agency. While EPA cannot consider costs in selecting a standard under the Clean Air Act, the EPA said it estimates those costs as part of the analysis undertaken for all significant regulations, as required by an Executive Order issued by President Barack Obama in January 2011. In a report last year, Earthjustice, the American Lung Association and Clean Air Task Force estimated that an annual standard of 11 µ/m3 and a daily standard of 25 µ/m3 could prevent as many as 35,700 premature deaths each year. “Particle pollution kills – the science is clear, and overwhelming evidence shows that particle pollution at levels currently labeled as officially ‘safe’ causes heart attacks, strokes and asthma attacks,” said Albert Rizzo, MD, who chairs the Board of the American Lung Association. “The Clean Air Act gives the American public the truth about pollution that is threatening their lives and health – just as they would expect the truth from their doctor,” said Dr. Rizzo. “This proposal is long overdue,” said Paul Cort, the Earthjustice attorney who represented the American Lung Association and National Parks Conservation Association in court. 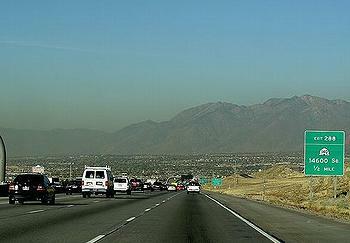 For the first time, the EPA is proposing to require monitoring for PM2.5 near busy roads in large metropolitan areas. The agency proposes monitoring at one location in each urban area with a population of one million or more. Pollution can be high along these roads due to emissions from cars, large diesel trucks and buses. The agency is not proposing to increase the size of the national PM2.5 monitoring network, which consists of about 900 monitors, but is asking states to relocate about 50 existing monitors to meet the near-roadway requirement. Today’s proposal does not affect the existing daily standard for fine particles or the existing daily standard for coarse particles (PM10), both of which will remain unchanged.